An interesting article in “Sustainable Packaging” on 27 May 2015 described the Biobased Packaging Conference (BioPAC), in Amsterdam as “both informative and disappointing”. The author was Gordon Bockner, a plastics and packaging expert in the USA. In Bockner’s opinion the conference did not present a persuasive case for the use of bioplastics in commodity packaging at all. In his view the conference illustrated doubts as to whether bioplastics are truly sustainable or just a short-term marketing strategy. (An example, he says, is the manner in which Coca-Cola is currently marketing its PlantBottle). The conference focussed on biopolymers in commodity packaging (rather than in niche applications) because this is the end-use category in which biopolymers must demonstrate an advantage (if they can), over an already established system based on petro-based polymers (including recycling and recycled content). With regard to the type of plastic supplied, eg by Braskem, in which the molecule is identical to the petroleum-based molecule he says that in spite of the fact that these bioplastics are not disruptive to either the manufacturing or recycling of existing petroleum-based plastics, there are, in fact, no economic or functional drivers for substituting them. 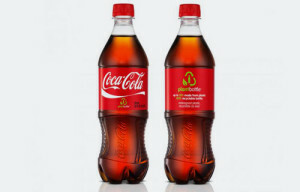 In other words, can Coke rationalize the use of (more expensive) biopolymers as a marketing tool and not because of a particular functional advantage? These types of plastic are said to be sustainable because they are made at least in part from vegetable materials, but consider the hydrocarbons consumed, and land and water resources used, to produce them. By contrast petroleum-based plastics are made from a by-product of oil refining which used to be wasted, and are much more sustainable for so long as oil continues to be extracted to make fuels. Nor are these “Braskem” type plastics biodegradable, but they could be made biodegradable with the addition of 1% of a d2w oxo-biodegradable additive. With regard to plastics such as PEF or PLA, Bockner points out that they are potentially disruptive of existing petroleum-based commodity packaging systems, and that unless one advocates expensive separate recycling systems, or near infrared (NIR) separation technologies, to separate the two types of molecules (that is, for example PEF from PET) it is not realistic to introduce these plastics into existing petroleum-based plastic packaging systems where they become disruptive contaminants. As in the case of the Braskem type of plastic, these types of plastic are said to be sustainable because they are made at least in part from vegetable materials, but consider again the hydrocarbons consumed, and land and water resources used, to produce them. Bockner points out that biopolymeric substitutes for petroleum-based polymers do not always provide the same functional properties, nor are they always cost equivalent. In fact, they are generally much more expensive even if the resulting molecule may be identical. He concludes by saying that “These negative conclusions regarding the use of either drop-in or new bioplastics for commodity packaging were clearly not the expressed intention of the organizers of BioPAC who are essentially advocates for the increased use of bioplastics in commodity packaging. But unless and until the competitive petroleum-based molecule runs out, our conclusion based on the facts and trend-lines presented at this conference is that bioplastics have a limited prospect to significantly increase their use in commodity packaging.